Safety Inspections: How Often is Enough? The frequency of planned formal inspections detailed by a regulatory agency. Guidelines from a safety management system (e.g. 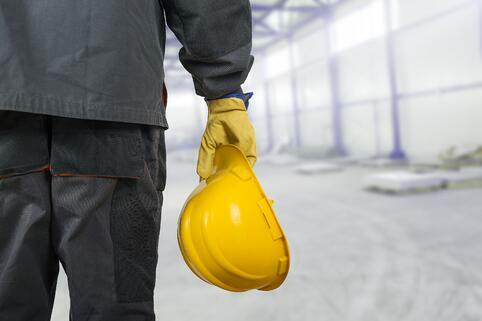 OSHA VPP, OHSAS 18001). Number, size, and potential risk of different work operations or equipment. Team building/employee involvement/safety committee activities. Number of shifts; the activity of each shift may vary. The number of man hours worked by the team. Introduction of new processes, equipment, or workers. Historical patterns of at-risk activity. There are some basic guidelines that can set initial expectations, but it should vary based on the circumstances. Ideally, the goal is to verify that good interaction is occurring with workers in an effort to facilitate safety conversations and redirect efforts based on prioritized needs relative to the data collected. Conduct routine self-inspections which cover the entire worksite as often as necessary, but at least weekly. Ensure that the subcontractor implements a similar self-inspection process. More frequent due to dynamic nature. Conduct routine self-inspections which cover the entire worksite with a frequency of at least monthly and the entire worksite covered at least quarterly. Tracking of identified hazards for timely correction. Our research, as documented in our white paper “Predictive Analytics in Workplace Safety: Four 'Safety Truths' that Reduce Workplace Injuries", indicates that achieving the most success occurs when there is marked participation from the beginning. In other words, observations should be done by the worker, who is closest to the work; line supervision, who monitors the work; and senior management, to demonstrate commitment to the process. The goal is always to start out in a quantitative manner, then refine the approach to address quality. In any successful process, measurable goals must be set and tracked through to completion. For non-safety staff, it is more impactful to increase participation than to add more people. For example, adding another inspection every other week yields more inspections than adding two more executives. Determining the specific inspection frequency by role should take into account work functions, which means that there is a clear understanding of what the individual does on a day to day basis. The frequency should be set so that diversity is improved and quality observations are collected. Too few and the ownership and awareness are not established. Too many and there is a marked diminishing return on investment. If your existing method of gathering inspection data aren't working, it's important to revisit your strategy. Overall, this is a good approach since it can be accommodated for both small and large companies. Ideally, the inspection strategy would coordinate activity to minimize overlaps and ensure the best coverage for monitoring. There are ten workers in a small machine shop. Each worker works 40 hours/week which works out to be 400 MH total for the shop per week. This should equate to two inspections for the week (more being necessary if any of the factors defined in the opening paragraph require it). There are two contractors with an equal amount of hours. One contractor is a roofing contractor and the other group is a crew painting rooms inside a finished building (i.e. Standing on a floor, no ladders, no overhead hazards). Since the roofer is likely to have more risk, it stands to reason they should receive more inspections and observations. Ultimately, it is up to your company to determine what the best fit is for them. There is no “one size fits all” approach to be found, and safety culture is just as important as the inspections themselves. However, there are many resources available which can aid in developing a meaningful approach to worksite safety inspections. The goal is to give you and your company the best return on investment for time spent in the observation process from a coaching and engagement aspect as well as a risk management function. Remember that safety inspections are only the tip of the iceberg as well. Make sure you have the right safety analytics strategy in place to make your inspections worth it.